With the preseason underway, fans are starting to get a sense of what their teams could look like for the 2017 season. In some cases, the early returns have been pretty good. Fans of the NFC West have to like what they have seen in the Arizona Cardinals and Seattle Seahawks. But the Los Angeles Rams and San Francisco 49ers, eh—not so much. However, while it is easy to jump on the bandwagon, it is always important to remember one thing.It is only the preseason. The best players have yet to take the field. Coaches are not doing whatever it takes to win. Oh—and it doesn’t matter. For fans of the 49ers and Rams, it would be nice to have a reason to think things could be better this season. But let’s be real, it probably will not be any different this season than the last. If you are going to jump on a bandwagon, next to the New England Patriots, the easiest one to jump on is the Seattle Seahawks. Russell Wilson is one of the best young quarterbacks in the league. As long as he is healthy enough to play, the Seahawks will have a chance. They have a fantastic group of skill position players that can make something happen whenever Wilson passes them the ball. If the offense happens to have a sluggish game, the defense is awesome enough to make sure the team will be in a position to make a comeback. However, as good as the team is, there is a big chance the team’s fate could go from great to really, really bad. Why? The offensive line is not very good. 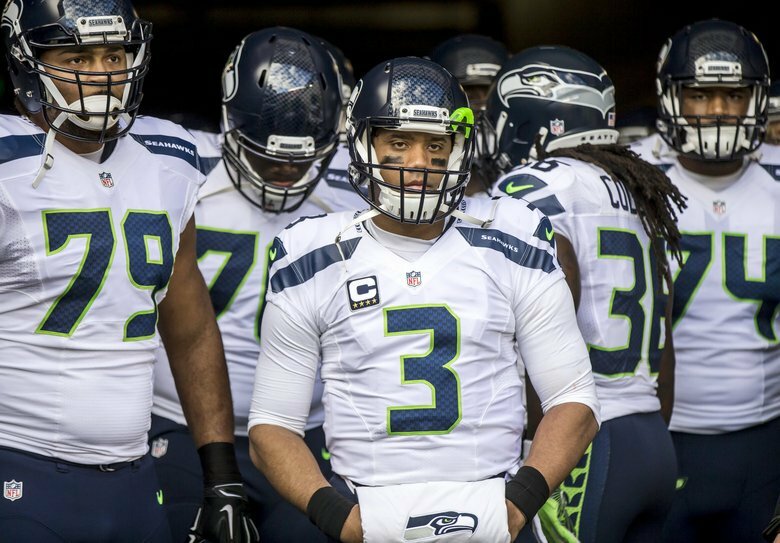 Their issues were a big reason why Russell Wilson suffered so many injuries early last season. By some miracle, he was able to stay in the game and continue to lead the team to wins. But if you test that kind of well too often, eventually it will come up dry. Winning the NFC West requires beating the Seattle Seahawks. Beating the Seahawks will require a team to play well on both offense and defense. The only team in the division that has a hope of being able to do that is the Arizona Cardinals. 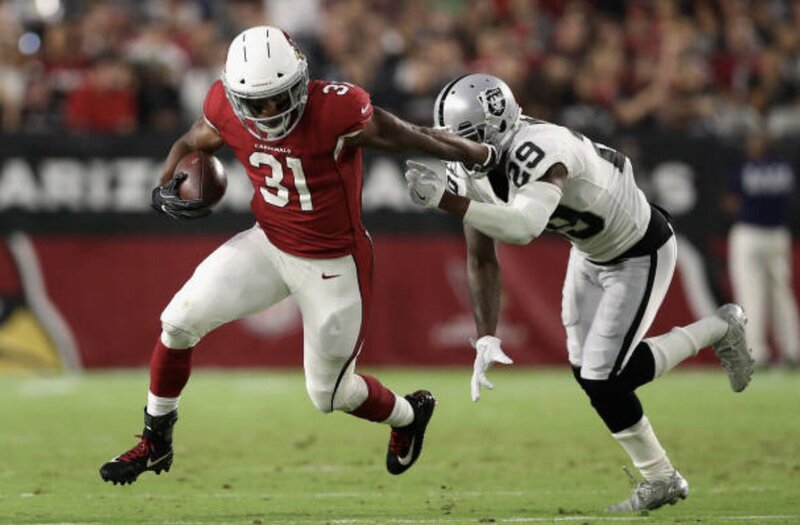 David Johnson is by far the most productive running back in the league and will continue to be that guy– as long as he can stay healthy. If he actually touches the ball 30 times a game like he wants, that may be easier said than done. It will help if Carson Palmer can get the vertical passing game going. But to do that he’ll need J.J. Nelson, John Brown, and Jermaine Gresham to step up their games. Larry Fitzgerald is going to continue being the beast that he is, but he and Palmer can’t do it alone. They will need help. If they get it, maybe the offense can spread defenses thin and David Johnson will not get banged up as much. When the Cardinals have a healthy defense, they can play with any offense in the NFL. But for them, staying healthy has been easier said than done. They drafted a pair of guys that should make an impact early and often in Haason Reddick and Budda Baker. The Rams are a team that everyone has hope for, but more than likely anything other than a handful of wins is going to be unrealistic for this team. The defense is still good enough to keep them in games and even win a couple, but even the best defenses get tired. The Rams offense is going to be as bad if not worse than it was last season. That means they will move the ball even less, turn it back over even quicker, and wear the defense out even faster. But wait—what about all the talent they’ve been collecting on offense? It doesn’t matter how much talent the wide receivers have if the quarterback is lacking—and Jared Goff is lacking. The organization will realize at some point this season drafting him was a huge mistake. It doesn’t matter how great his ‘skill set’ looks if he isn’t able to put it all together on the field. He wasn’t great at doing so at Cal and he hasn’t done it yet in the NFL. Frankly, there is no reason to believe he can. But everyone is going to challenge him to do so. Todd Gurley is going to have a terrible time finding room to run. Teams are going to sell out to stop him, forcing Goff to beat them. Despite the tremendous number of weapons the Rams have surrounded him with (Sammy Watkins, Cooper Kupp, Josh Reynolds, Tavon Austin, etc. ), he will fail once again. And the Rams will lose—again. It wasn’t that long ago that the 49ers were in the Super Bowl and looking like they were going to be the next great team. Now the only thing that is great about them is the draft position they’ll be in after the season ends. When this season ends, they will be in a great position once again. The offense is certainly not going to be any better this year than it was last season. Brian Hoyer is certainly not an upgrade at quarterback. Although, Kyle Shanahan will probably make him look much better than he is. 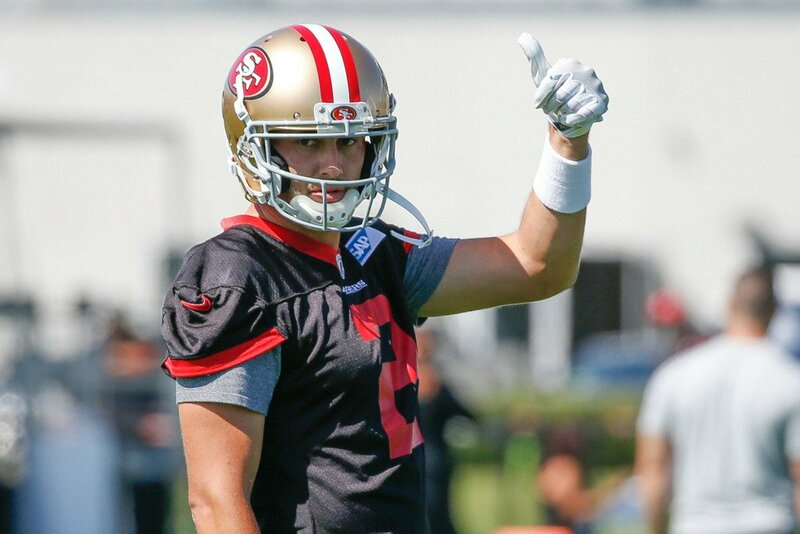 Hoyer will have at least one weapon better than any Colin Kaepernick had last season in Pierre Garcon. Marquise Goodwin has the kind of speed every coach loves, but he has yet to develop into the wide receiver coaches hope he can become. It will help if the team can get a running game going this year. They brought in a couple other guys in case Carlos Hyde can’t get it done. Rookie Joe Williams could be an interesting guy to watch. Kapri Bibbs never lived up to his potential in Denver, but the 49ers were interested in him enough to trade for him. And the winner will be…. The Seattle Seahawks! Arizona will give them a run for their money, but the Seahawks are simply a more talented team. Their defense is too strong and their offense is much more reliable than Arizona’s is. The Cardinals will be good enough to make it back to the playoffs, but not as a division winner.